The following post is from a paper presented by P.S. Ruckman, Jr., at the “Theodore Roosevelt: Life, Times and Legacy” conference. Louisiana State University (Shreveport). 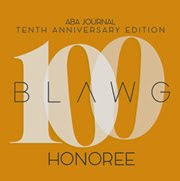 October 17-20, 2012. One day, Ernest Adams picked up a club and attacked Joe Martin, a citizen of Yell County, Arkansas. Martin managed to escape and retreated to his own home. Adams went to a friend’s house, borrowed a Winchester rifle and made his way to the Martin residence. As he approached the front door, Adams saw Martin sitting in a chair with his 4-year-old daughter, Nora, in his lap. Adams then threatened to kill Martin, but Martin pled with Adams not to have the poor taste to commit murder right in front of his family. So, Adams forced Martin down a road and along a path. Later, Martin's family heard a rifle shot coming from the woods. But, to their general astonishment, Joe Martin emerged alive. And Ernest Adams was nowhere to be seen. Martin later claimed that, as he and Adams were walking along, they both thought that they heard the sound of another man’s footsteps in the woods. In that slight moment of concern and hesitation, Martin grabbed Adams’ gun and a struggle ensued. Martin said he then shot Adams in self-defense. Nonetheless, Joe Martin was arrested for the murder of Adams and tried in the court of “hanging” Judge Isaac Parker. The missing head made for an interesting trial and, to make matters worse, some testified that they had actually seen Ernest Adams walking around the day after Martin had allegedly killed him. Evidence was also introduced to suggest Adams “often disappeared” from home for “considerable periods” of time. But, at the end of the day, the jury found Martin guilty. In April of 1889, Parker scheduled a hanging for July 17. 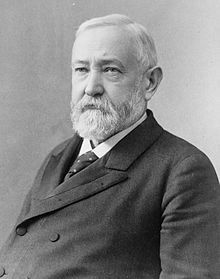 President Benjamin Harrison entered the story less than a week before the scheduled execution by granting a respite - delaying the hanging until August 9. As it turned out, Harrison did not need that long to make a final decision. On August 2, he commuted Joe Martin’s death sentence to life imprisonment. Harrison was convinced that the evidence in the case was too circumstantial and, besides, even if Martin had committed the murder, Adams was clearly the “aggressor” and the killing occurred “during the course of a fight.” Oddly, Judge Parker’s views were mentioned in the Annual Report of the attorney general. Joe Martin was thrilled to retain his life and, with little else to do in prison, petitioned the President Harrison for further acts of clemency, again and again. Despite three years of applications, Harrison did not see fit to build upon the commutation. So, when Harrison left the White House in 1893, Martin began petitioning Grover Cleveland, again and again, for four full years. When Cleveland left office, Martin went to work on William McKinley. Joe Martin’s good fortune was that Griggs was on his way out of office. Indeed, less than a week after his public comments, he was replaced by Philander Chase Knox. And, five months later, Martin had a new president to petition as well - McKinley was assassinated. Martin had used the “normal” channels and “processes” for years. Now it was time for something different. Eighteen-year-old Nora Martin had been saving her pennies for 14 years. She had also collected signatures and was now ready to head to Washington to obtain a presidential pardon for her father. The front page of the New York Times reported the poor farm girl had never even seen a train, much less ridden on one. But she managed to find the Department of Justice and the “plucky” daughter was said to have “haunted” its hallways for an entire week. When the new attorney general finally signed a statement recommending the release of her father, Nora Martin made her way to the White House. There, she stood across the street and carefully watched while the paperwork on the application was delivered inside. On the following day, the “usual course” of such applications was further bypassed. Instead of the Department of Justice informing the Warden of Columbus jail of the President’s decision, Joe Martin’s presidential pardon was placed in the hands of his daughter. After having completed her life’s work, Nora Martin had successfully begged to personally deliver both the good news and the accompanying document. It is to be remembered that this conviction, and a number of others in the same district at about the same time, were obtained by the Government during a period when a reign of terror existed in the Indian Territory. It is said that Judge Parker, who was the trial judge in this case, tried and sentenced more murderers than any judge who ever sat within the limits of the United States. 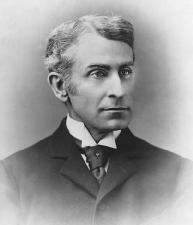 The new attorney general went on to say that his “review” of “several” cases convinced him that many of Isaac Parker’s trials were conducted “without the regard to the rights of defendants which prevail[ed] in more settled and law abiding communities.” As a result, many of Judge Parker’s convictions “could not have been attained elsewhere.” He also notes that Martin did not commit a premeditated murder and he had served a sentence equivalent to the “usual sentence” for murder in the second degree. Knox thus recommended that his sentence be “commuted to expire immediately.” Theodore Roosevelt agreed and granted a pardon to Joe Martin on October 24, 1902. On the other hand, the unorthodox tactics of “plucky” Nora Martin are nowhere mentioned in the annual Report. Very interesting tale and I'm glad Philander Chase Knox got Martin out. "Sleepy Phil" (that was his nickname) is on my name meaning site, so this story added to my knowledge about him.